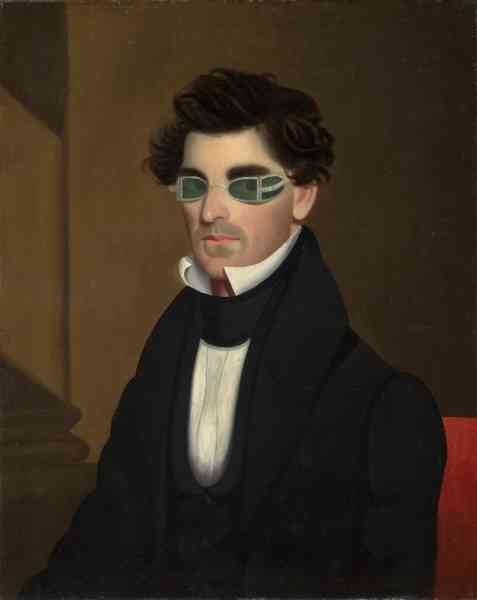 The green-tinted spectacles worn by Olds were designed to protect the eyes from the intensity of Argand lamps, a type of indoor light used during the early 1800s. These lamps burned whale oil, and many people worried that its bright flames might damage eyesight. The painter of this portrait founded the Western Union Telegraph Company in 1854 and soon became one of Cleveland's wealthiest industrialists.